A new leak claims that the Moto Z4 will pack a midrange Snapdragon 675 chip, the same expected to come in the Moto Z4 Play, according to GSM Arena. That would rebut a rumor floating last November that alleged the Moto Z4 – or the ‘Motorola Odin,’ a codename that may or may not refer to the next flagship Moto device – would pack a Snapdragon 8150 (now known as the Snapdragon 855), the top-tier chip that debuted in the Samsung Galaxy S10. Now, it’s possible that the leak is referring to the Moto Z4 Play, especially since an earlier GSM Arena report noted it would come with the lower-performance Snapdragon 675 – which fits the Play version’s typically lower-specced, lower-cost role. The only flaw in that theory? The new leak is about a phone with a 6.4-inch screen, and the Moto Z4 Play was previously reported to have a 6.22-inch screen. This would be a bit odd for the main Moto Z line’s value. The preceding Moto Z3 might not have been a terribly impressive device, but its dated yet still powerful flagship Snapdragon 835 chip made the phone a bargain at a mid-range cost. If the Moto Z4 comes with a mid-range processor, it won’t have quite the value. More importantly: we don’t know if the Snapdragon 675 has the performance to handle 5G. The Moto Z3 has clung to relevance by sporting the Moto Mod 5G that lets it connect to Verizon’s (still very limited, we found) 5G network and it’s likely there’s extra processing power in the mod to get the combined phone package up to speed to harness the advanced network. The question is – can a Snapdragon 675 keep up as well as the Snapdragon 835 in the Moto Z3 in a network test? Even Qualcomm&apos;s own numbers show the former&apos;s LTE peak download speeds (600Mbps) lower than that of the latter (1Gbps). The leak also noted that both the Moto Z4 and the Moto Z4 Play will pack 48MP rear cameras, with the former coming with a 25MP selfie camera (no word on the Moto Z4 Play’s front-facing camera). That would be a big jump from the 12MP dual rear shooters on the Moto Z3. Amazon has announced that Echo owners will be able to use part of Amazon Music for free. The new, free service doesn’t require an Amazon Prime subscription and can be used to access playlists or start new stations by saying "Hey, Alexa," and then a music genre or artist name. The caveat here is that this new tier of Amazon Music is only available in the US at launch, and the service is fairly minimal. For instance, you don&apos;t get on-demand access to Amazon&apos;s entire library, and you’re going to hear ads in between songs. The good news is that you’ll be able to use it on all US Alexa devices – including the Amazon Echo, Amazon Echo Dot, Amazon Echo Show and Amazon Echo Plus – right out of the box, without signing up for Prime Music through Amazon Prime ($119 per year) or Amazon Music Unlimited ($7.99 per month for Prime members, $9.99 for non-Prime members). While this is certainly a step forward for Amazon – giving things away for free isn&apos;t usually its strong suit – but it comes just one day after Google announced that YouTube Music would be available for free on every Google Home speaker. The difference here is that YouTube Music allows you to play music on-demand from YouTube Music&apos;s massive catalog. Google still puts ads in-between songs, but it&apos; s still a far more appealing offer than Amazon&apos;s fairly limited service. Google&apos;s offer is clearly better but in today&apos;s era of subscription everything, we&apos;ll take the free things wherever we can get them. Can&apos;t decide which one to buy? Our guide to the best smart speakers can help! These days, having a good laptop is completely necessary – and that’s especially true for your kids. The best laptops for kids will usually take the form of rugged and cheap tablets, but there will come a time when your child will have to graduate up to a full, traditional laptop. Whether it’s for school or for play, you’ll need to find the best laptop for kids. And, if your kids aren’t comfortable with Windows 10, don’t worry, the best Chromebooks are extremely easy to use, and make for great laptops for kids. They have large, durable displays that are great for getting schoolwork done. Plus, many Chromebooks are also able to run Android apps and games, for a bit of downtime between assignments. They’re also affordable – they really are among the best laptops for kids. So, what’s the best laptops for your kids? How do you decide? Luckily, we’re here to help you answer those questions – we gathered up all the best laptops for kids. With this list, we’ll go through all the best laptops for kids – affordable devices with rugged frames and even rigid parental controls. 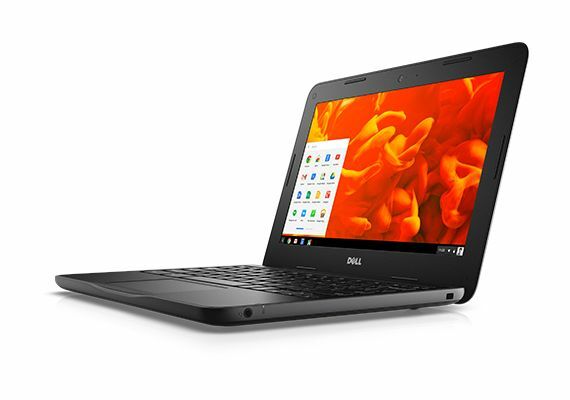 Chromebooks make for some of the best laptops for kids, because they’re virtually mistake proof, as is the Dell Chromebook 11 2-in-1. Drop it, and it’s fine. You can’t download any malicious software. It’s one of the safest environments for you kids to use a computer, especially with its parental controls. 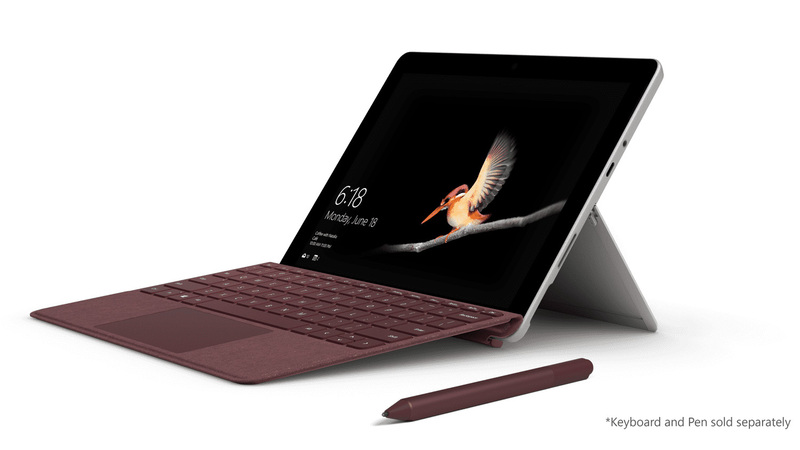 So, if your kid needs a cheap laptop to get some schoolwork done, you won’t want to miss out on this excellent device – it even transforms into a tablet for some downtime after school. If you’re more accustomed to Windows 10, or even if your kid likes it, we find the Lenovo IdeaPad 120S to be among the best laptops for kids – especially at this bargain price. The laptop is mildly ruggedized to survive slips and drops, and even features a USB-C port for a bit of future-proofing. You can also trust that this device will be free of bloatware that can distract your child. That’s enough in our book to recommend this laptop to pretty much every parent – especially for Windows 10 families. 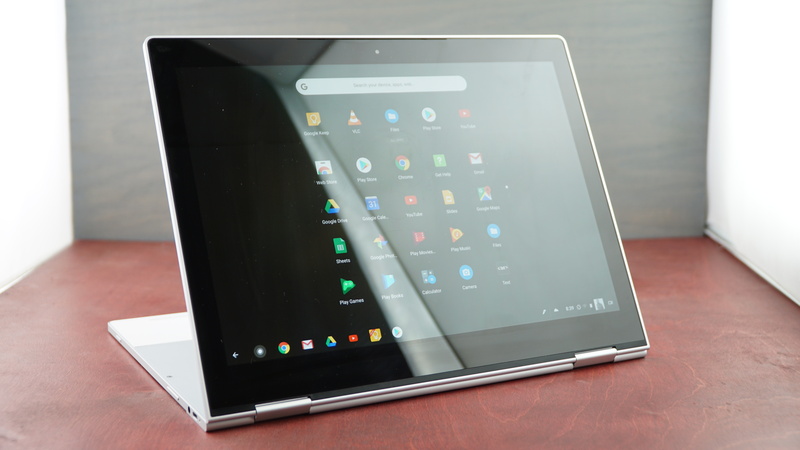 If your kids are starting to get to the point where they have to write up papers for class, and you want to get them something that won’t break the first time it gets dropped, you may want to consider the Acer Chromebook Spin 11. 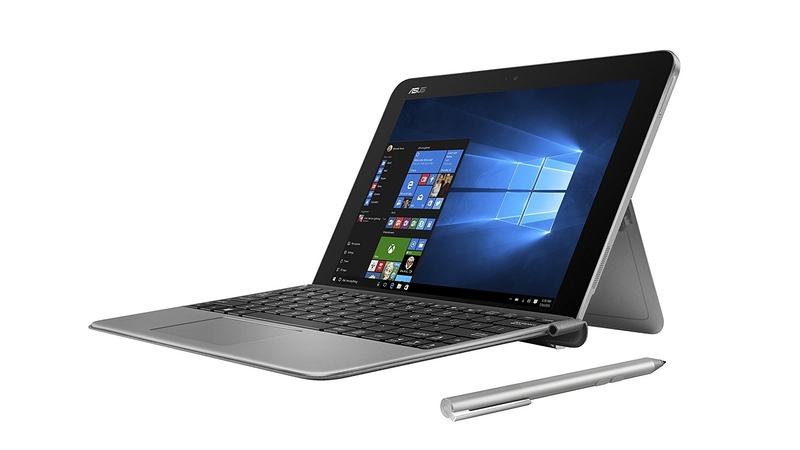 Not only is it competently powerful with a comfy keyboard, it’s also a 2-in-1. This means you can flip it around into tablet mode, which is great for playing some Android games in their downtime. The display is a bit dim, and it’s not going to blow you away with its performance, but it’s cheap and durable. When your kids approach or enter double-digit years, they might end up needing something a bit more robust to support them through larger projects (and sharper streaming). 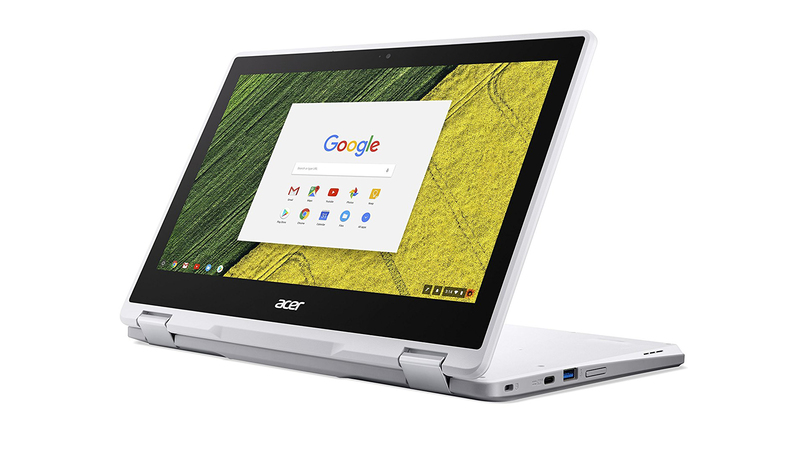 Acer’s latest 15-inch Chromebook will bring serious sophistication to your kid’s computing experience, from its design to its features, like a full HD display, fast USB 3.0 connections and an HDR webcam. However, this laptop is ideal for adolescents on account of its larger size and lack of kid-proof features in exchange for a more luxury experience at a great price. If your kid wants a tablet, but you want them to get familiar with the traditional computer, too, the Asus Transformer Mini is the perfect option. This tablet brings plenty of power and ports to the table – not to mention a fingerprint sensor, stylus and keyboard cover – all in the box. This is all topped off with a whopping 11 hours of battery life. If your kids are just too used to tablets to jump to a traditional laptop, this is the best laptop for your kids, especially for the price. The 2015 MacBook Air isn’t the newest one on the block, but it’s still one of the best laptops for kids – unlike the 2018 model. We know that parents aren’t made of cash, but the 2015 MacBook Air has plenty of deals out there – in fact it’s the cheapest Apple laptop out there. Plus, it has great battery life, a smooth and easy to understand operating system, and it’s thin and light. 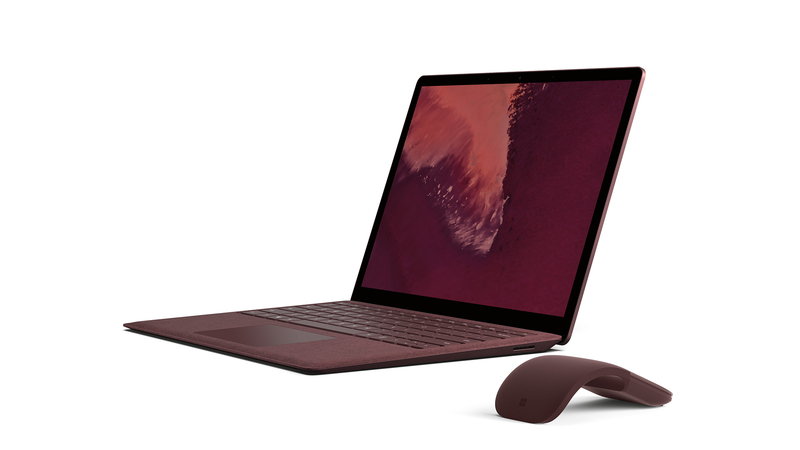 The best Macs are famous for outlasting Windows laptops – and this one should last your kid for years. We found some of the best laptops for writers on the market right now, with special attention paid to the specific needs that journalists and writers have. Of course, writers are going to need one of the best keyboards – if you’re writing all day, you should be comfortable while doing it. The best laptops for writers should also have a compact design and long battery life there, too, which should make travel much less of a pain. Oh, and an easy-to-read display will relieve eye strain. However, you shouldn’t worry so much about getting the best of the best hardware. The best laptops for writers need to focus entirely on comfort and budget. And, even if you don’t think you do a lot of writing, you actually might: emails, reports and presentations are all made easier by the best laptops for writers. The best Chromebooks don’t run Windows or macOS. Instead, they’re powered by Google’s own Chrome OS – a super lightweight operating system based on the Chrome web browser. That might sound restrictive, but it’s a great way to save cash. Plus, if you’re going to primarily be writing, it’s a great choice, as Google Docs can be used as a word processor, and you also have the Chrome browser for research. The Asus Chromebook Flip is one of the best Chromebooks out there at the moment, offering truly premium build quality, a fabulous touchscreen and keyboard, on top of excellent performance. This is all while offering great value for the money. 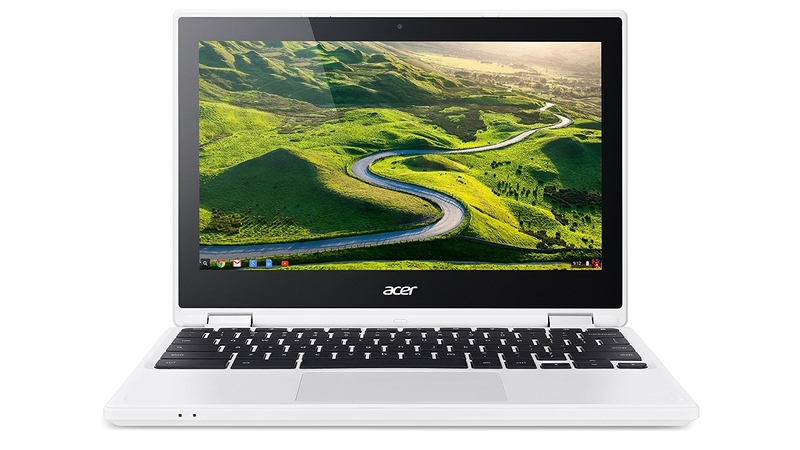 The Acer Chromebook R11 is probably the best cheap laptop around at the moment, and it&apos;s a great laptop for wirters. Like the Acer Chromebook Flip higher up this page, this laptop runs Chrome OS so does away with all the overheads that Windows brings. Consequently it&apos;s able to run nice and fast on less powerful components, which means a very cheap price! Its touchscreen is decent, though it&apos;s only HD, and it will flip to become a tablet too. What&apos;s more, it&apos;ll run practically all day thanks to its excellent battery life. So if you&apos;re looking for a capable but very cheap laptop that you can whip out and begin writing on, then this one is your best bet. There are a few things you need to think about before you buy one of the best laptops. When you’re programming, you’re going to need one of the best processors, as that horsepower goes a long way when you’re compiling code. Sure, most modern laptops will feature plenty of cores, threads and high clock speeds, but you should still aim for the fastest processor you can afford. And, then there’s memory. You absolutely need at least 8GB, and it needs to be fast. YOu should also think about storage: one of the best SSDs is essential, as it will shave minutes off your project with all the files and apps you’ll open. You won’t necessarily need the fastest graphics chip on the market, but if you want to do some gaming in your down time, go for it. Modern Intel hardware comes with integrated graphics that are more than good enough for anything you’ll encounter while programming. Oh, and do yourself a favor and make sure you’re getting one of the best keyboards. Programming involves a lot of typing, so you may as well be comfortable while doing it. And, a high resolution display will help make sure your code is easy on the eyes. So, without further ado, here’s our list of the best laptops for programming in 2019. Check out our list of the best web development tools and the best IDE for Python. 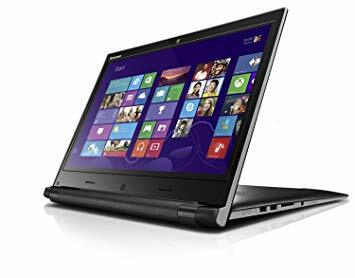 The best laptop for programming needs to have plenty of power and memory, long battery life, a comfy keyboard and monitor and the ability to handle multiple monitors. It also needs reliable post-sale support, so you aren’t out of commission whether you’re in Paris or San Francisco. And, the Toshiba Portege Z30-C-138 is all of the above. It has a fast processor, plenty of SSD space and 16GB of RAM. And, to top it all off it manages 11 hours of battery life and even packs a 4G/LTE modem. 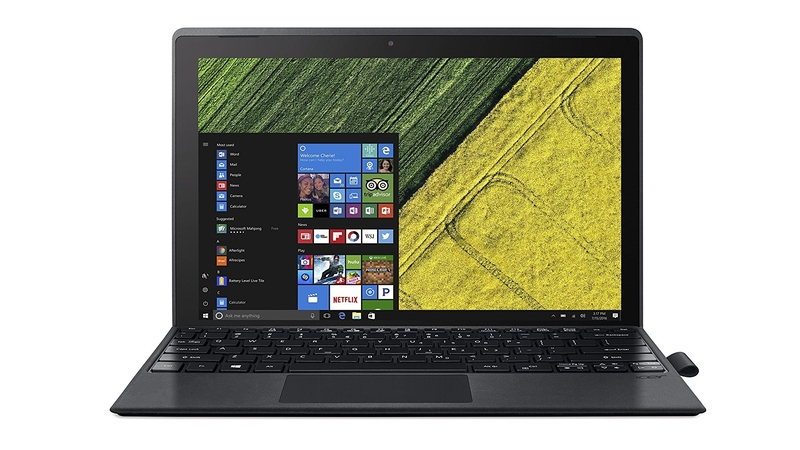 Trust us, if you’re looking for a laptop for programming, you can’t go wrong here. 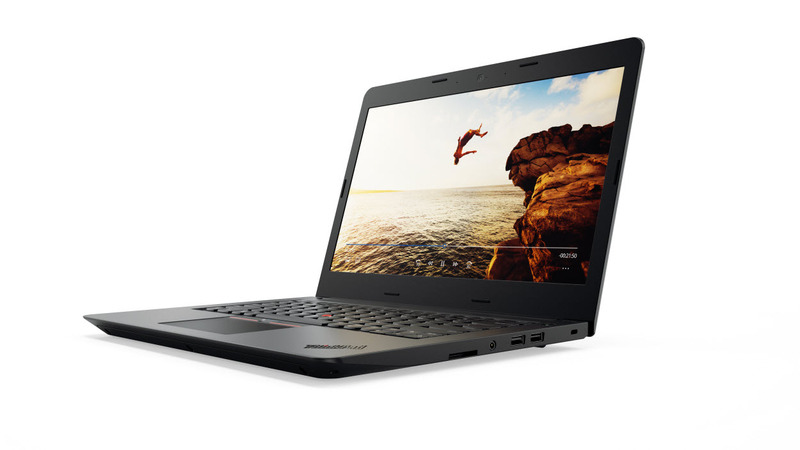 With the ThinkPad E470, Lenovo took an existing form factor and refined it. 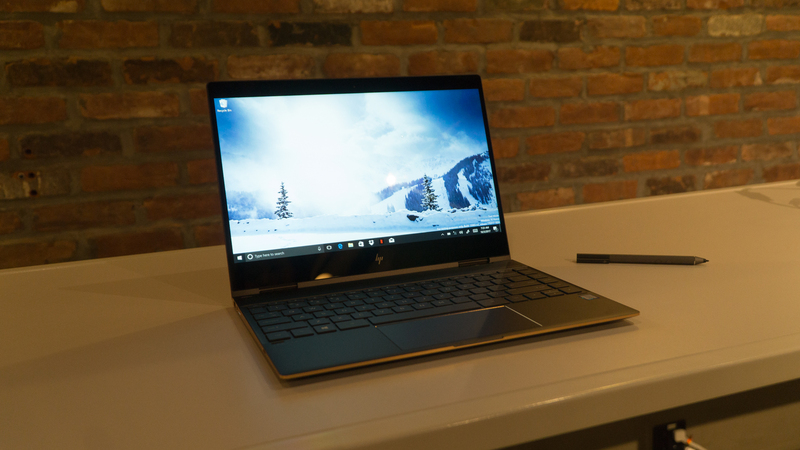 Now, powered by 7th-generation Intel Kaby Lake processors, this is one of the best laptops for programming. It also features a lovely 14-inch anti-glare display, powered by a discrete Nvidia GeForce 940MX GPU, a spill resistant keyboard and Lenovo’s signature TrackPoint. The Lenovo E460, then, tops all of this off with enough ports and expansion capabilities to keep the average user happy for years to come. The 255 G5 is HP&apos;s entry-level business laptop and is a solid candidate should you be looking for a straightforward, reliable, laptop for programming at a bargain price. The RAM is a little on the low side, but that can be upgraded later on, and there&apos;s no denying that this is an excellent laptop for coding on. 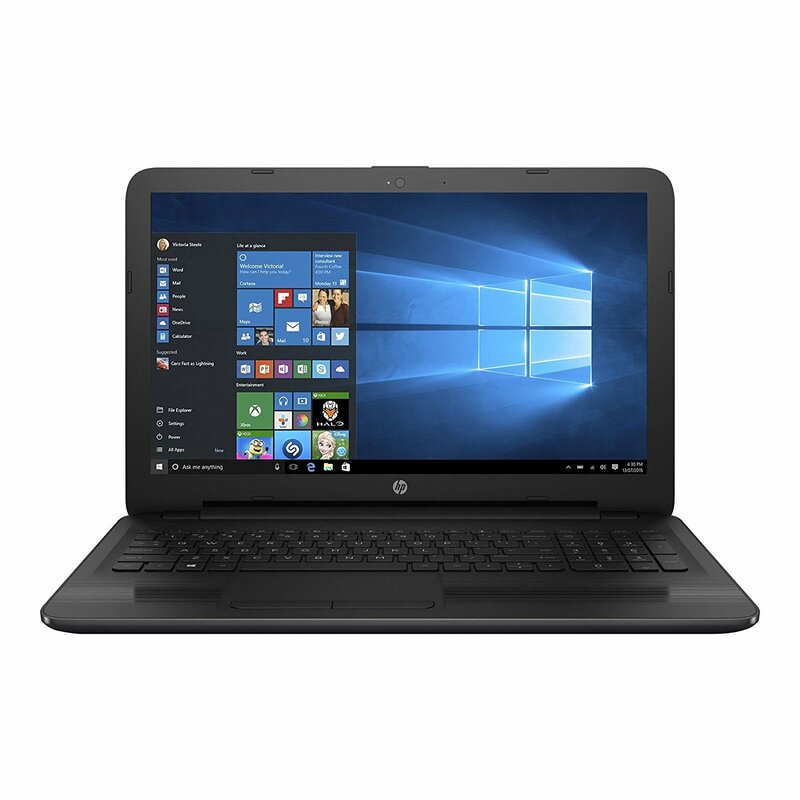 If you want a similar programming laptop with an Intel processor, rather than AMD, then the HP 250 G5 is worth looking into. There are various configurations of both the HP 255 G5 and the HP 250 G5, so it&apos;s worth shopping around and finding one with the right components for your needs. 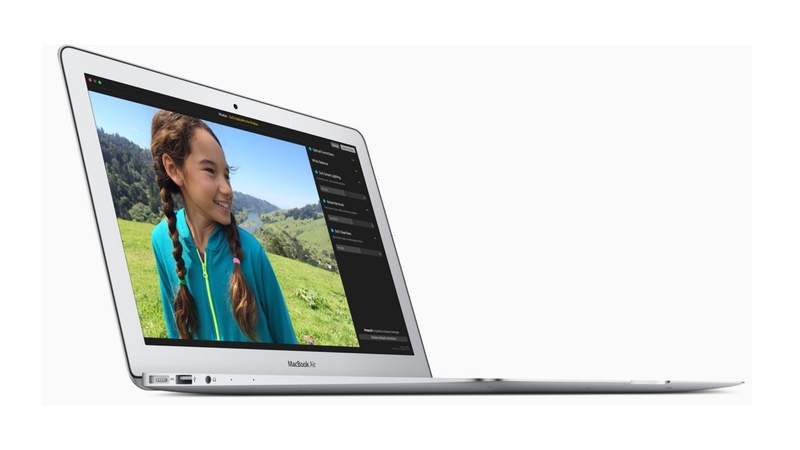 We’ve been waiting years for a new MacBook Air, and it’s finally here. 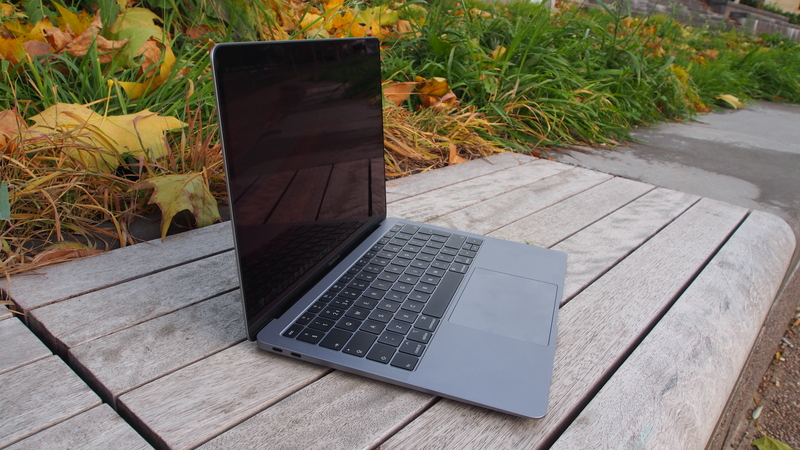 Now thinner, lighter and with a Retina display for the first time, it’s easily the best MacBook Air we’ve ever used. 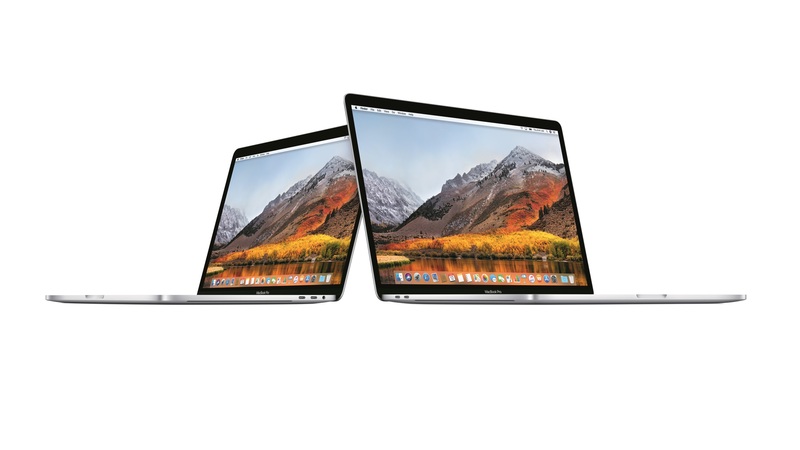 Thanks to improved hardware for better performance (including 8th-generation processors, more RAM and faster SSDs) and an affordable price, the 2018 MacBook Air is a brilliant laptop for programming on. It keeps that same light and slim design which means it&apos;s easy to sling into a bag and carry around with you, but it also has enough oopmh to make programming on it a joy. The improved screen and higher resolution makes it far more comfortable to work on as well. 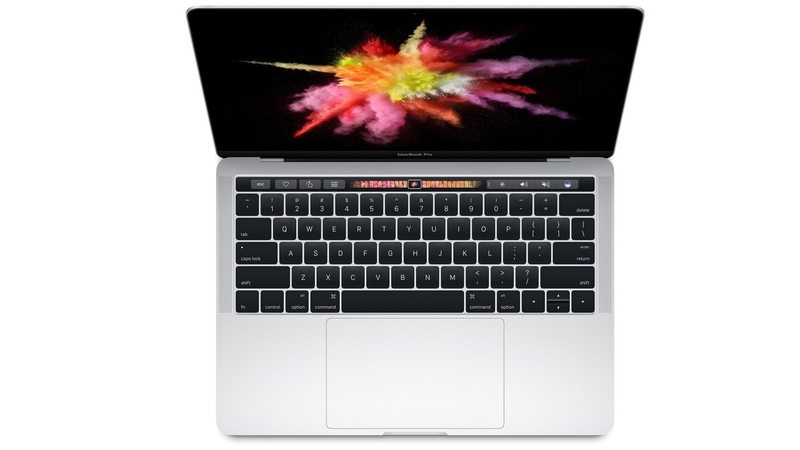 When you’re looking for the best laptop for programming, especially if you’re developing software for macOS, you’re eventually going to find yourself looking at the MacBook Pro. 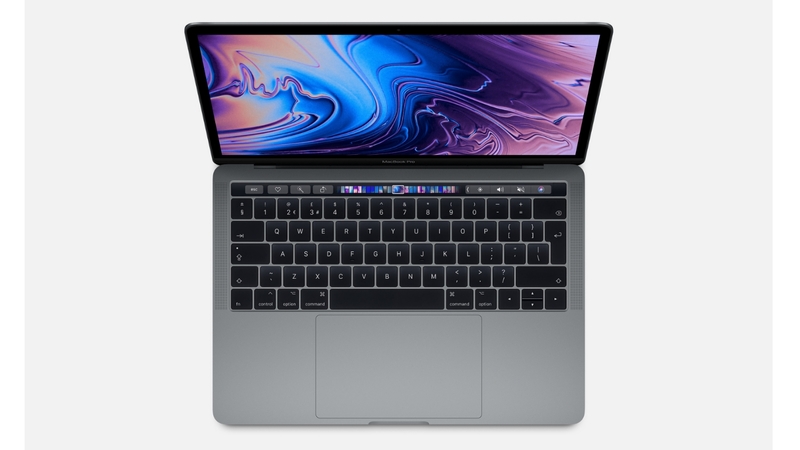 And, the new MacBook Pro, with its hexa-core processor and heaps of RAM, is the most powerful MacBook that the Cupertino tech behemoth has ever birthed. No matter how extraneous your workload is, no matter what you’re trying to develop, you’re going to be able to get it done on the new 15-inch MacBook Pro, and we’d recommend it to any software developer – as long as they had the budget for it. 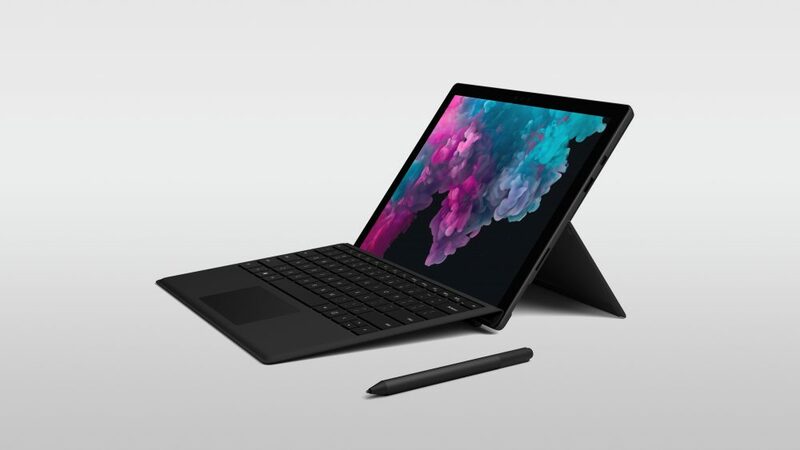 Sometimes you just have to work on the go, and in those situations, you’ll be thankful for the Microsoft Surface Pro 6. With its quad-core processors and plentitude of RAM, you’ll be able to compile code quickly and efficiently, even when you’re on the move. Just keep in mind that you’ll have to pay extra for the Type Cover – you’re not going to want to get any coding done on a touch screen, trust us. Sure, it’s a Chromebook, and while that may put some people off, the Google Pixelbook is powerful (and beautiful) enough to hang with the Surfaces and MacBooks of the world. Now, while ChromeOS is admittedly not as good a place to program as Windows or macOS, the Pixelbook’s support of Android makes it a must-own laptop for any Android developer. 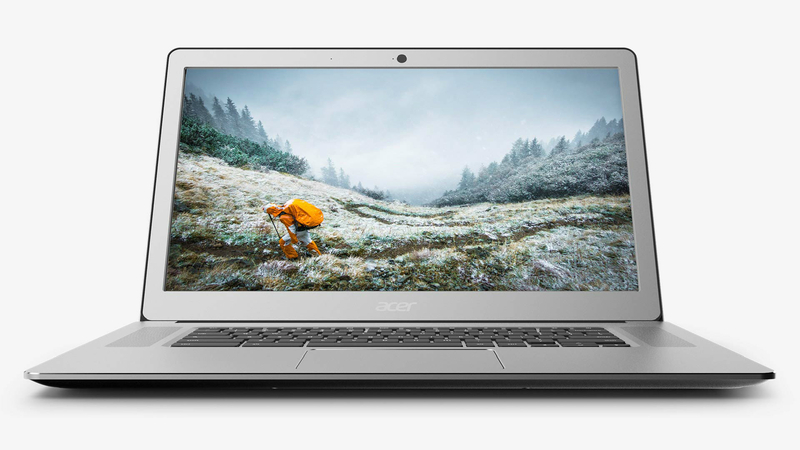 The fact that this laptop succeeds the now discontinued Google Chromebook Pixel, which was designed by and for Google’s own developers, should give it some street cred in the eyes of coders. This product is only available in the US and UK at the time of this writing. Australian readers: check out a fine alternative in the Surface Pro. 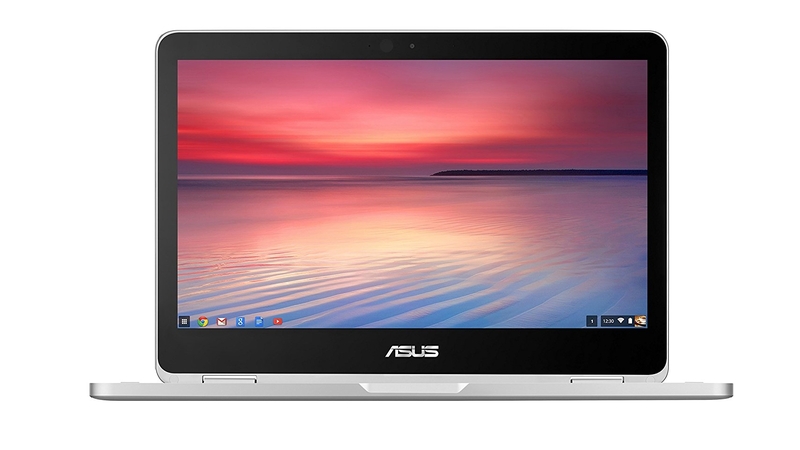 While it doesn’t run Windows or macOS, the Asus Chromebook Flip is powered by Chrome OS, a super lightweight operating system based on the Chrome web browser. The Chromebook Flip is one of the best Chromebooks out there, solely because it offers a premium build, a great touchscreen and reasonably powerful components for the price. And, while Chrome OS doesn’t feature many robust programming tools, the Asus Chromebook Flip is one of the best laptops for programming if you’re deep into web development. 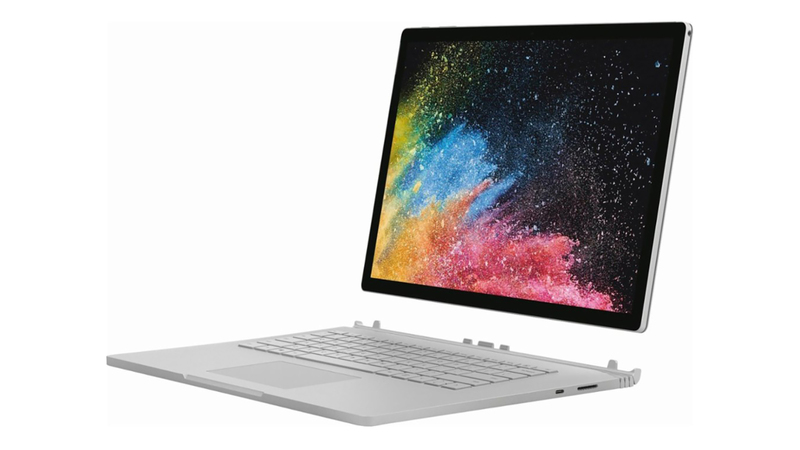 The Surface Book 2 is an excellent choice for any coders out there, as Microsoft has crafted one of the most powerful 2-in-1 laptops on the planet. The Surface Book 2 has components powerful enough to handle pretty much everything you could throw at it – including some light gaming in your down time. If you’re looking for a larger display,there’s a 15-inch model, which also features beefier components – albeit at a higher price tag. If you need a macOS device that’s fast, but still light enough to carry around with you wherever you go, you’re going to love the MacBook Pro 13-inch. This isn’t just one of the best laptops for programmers, this is one of the best Macs that we’ve ever used. If you need to code on the go, the quad-core processors and up to 16GB of RAM mean you’ll work fast, while the thin and light design means you won’t be held back. We can’t recommend it enough. You don’t need a gigantic mining PC that chugs electricity to mine for cryptocurrency. With this list of the best mining laptops you can buy today, we’ve gathered up all the best laptops that can be used for mining. 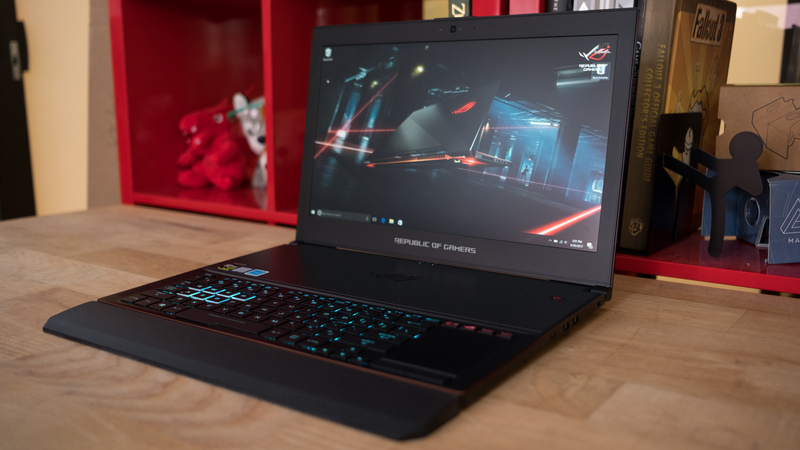 Before you head out and drop a wad of cash on the best gaming laptop to get your mining operation moving, you need to think about a few things. First, you need to figure out which cryptocurrency you’re going to pursue. And, even if you already have the best mining laptop, there’s a harsh truth you have to face: many cryptocurrencies have all but died off. That’s not to mention that some cryptocurrencies are just easier to mine on mobile hardware than others. You should also think about the warranty of the laptop you’re looking at. You’ll be putting it through a ton of stress while mining, so you want to make sure your investment doesn’t burst into flames. You might be saying: “hold on, why even use a laptop for mining?” Good question. Well, the best mining laptops will be much more compact and portable than a traditional mining rig, so you can get some mining done on the road, without having to travel in a caravan. Read on to find the best mining laptops on the market in 2019. Gaming laptops make for great mining laptops because they feature powerful GPUs that can boost your mining results. 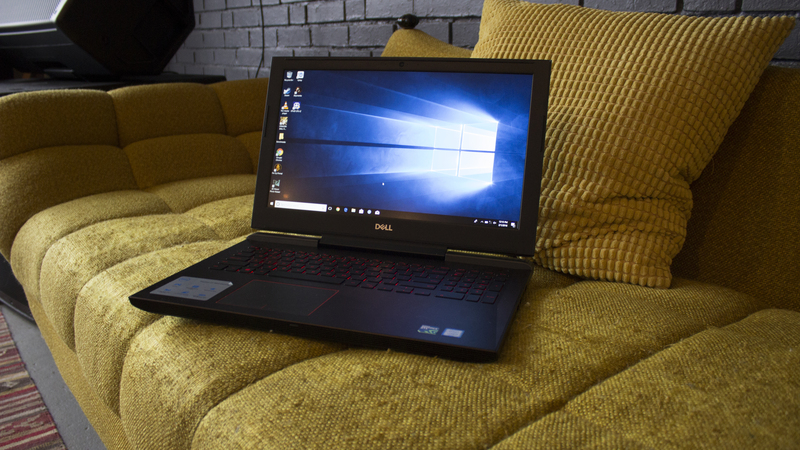 This makes the Dell Inspiron 15 7000 Gaming a great option for anyone looking to mine on the road. 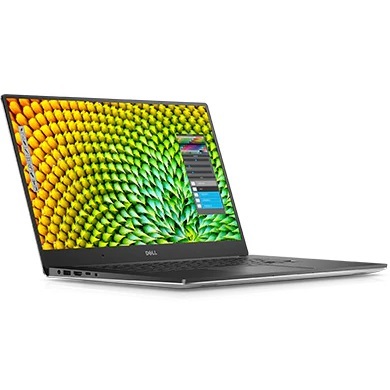 This laptop offers fantastic value for the money, especially compared to similar gaming laptops. The Nvidia GeForce GTX 1050 Ti is a good performer when it comes to mining, and it’s backed up aptly by the Intel Core i5 processor. Battery life is also superb for a gaming laptop. If you’re looking for the best laptop for mining, you’ve likely had your eyes on a bunch of thick, bulky behemoths. 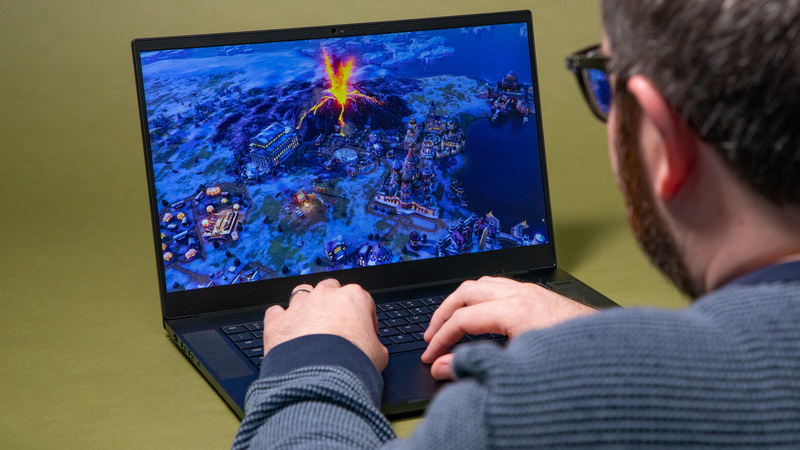 But, these days, you can get a huge amount of performance out of a thin and light gaming machine like the 2019 Razer Blade. Packed with Nvidia Turing graphics and Coffee Lake processors, you’ll be able to make your ROI in no time. Just be ready for that hefty price tag. Razer has finally brought us a full desktop replacement that doesn’t look like a desktop replacement. 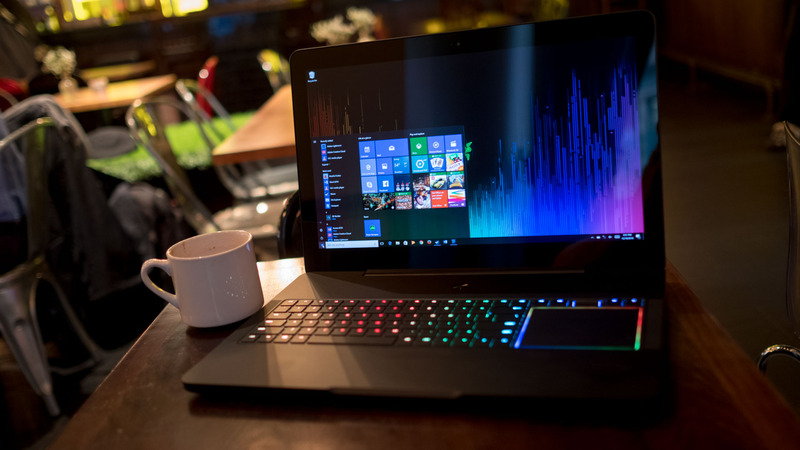 Coming in at just 0.88 inches thick with the option between a 17-inch 1080p display running at 120Hz or a 4K touchscreen panel with G-Sync, the Razer Blade Pro also brings the company’s ultra-low-profile mechanical switches to a laptop for the first time. And, when it comes to mining, this is a great choice, as it features a powerful GPU,combined with a great processor and plenty of RAM. If you’re still trying to mine cryptocurrencies in 2018, you’re going to need something incredibly powerful – it’s getting harder and harder to make a buck. 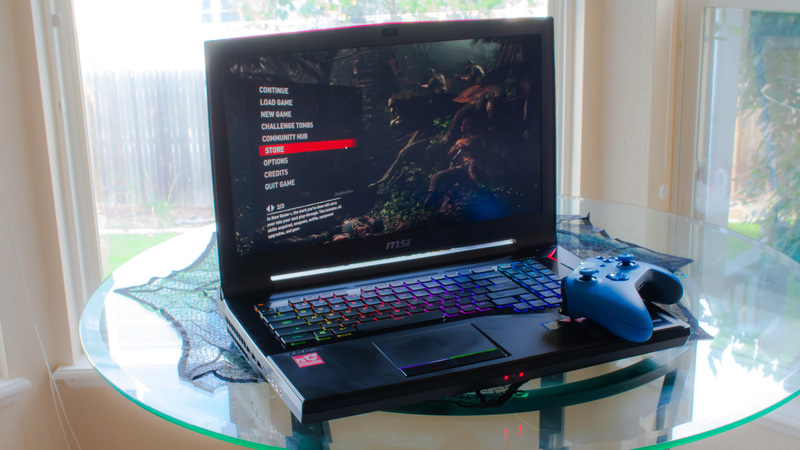 Luckily, the MSI GT75 Titan has all the power you could hope for in a laptop – as long as you have the space. This is a gigantic desktop replacement laptop with all the horsepower that brings. Just don’t expect to be able to travel with this thing easily. The fantastic Dell XPS 15 is great for mining, thanks to its discrete GPU. Plus, it has a stylish, ultra-portable design, so it can easily be carried around with you if you need to get some mining done while traveling. And, thanks to Dell’s fantastic build quality and customer support, it’s not only an efficient mining machine, but you can rely on it as well. 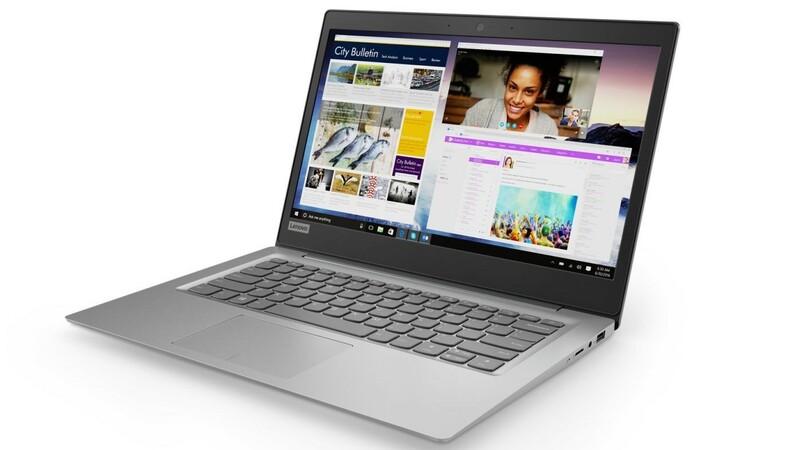 There&apos;s no way around it – laptops are expensive, especially if you need powerful hardware. 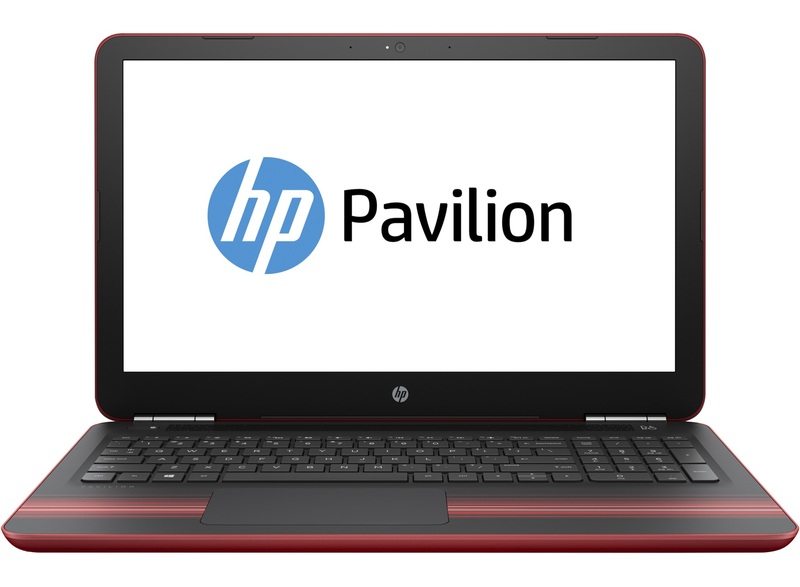 So, if you’re looking to save some cash to make your ROI easier to obtain, the HP Pavilion 15 is a great option. 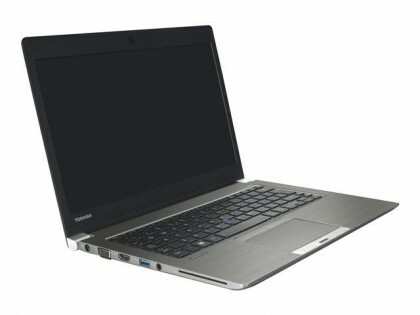 This mid-range laptop has a respectable amount of power, while keeping the price at an approachable level. The low cost means you have less of an initial outlay to make back, but because it doesn’t exactly feature the fastest GPU, you shouldn’t expect to buy that castle you had your eyes on with it. 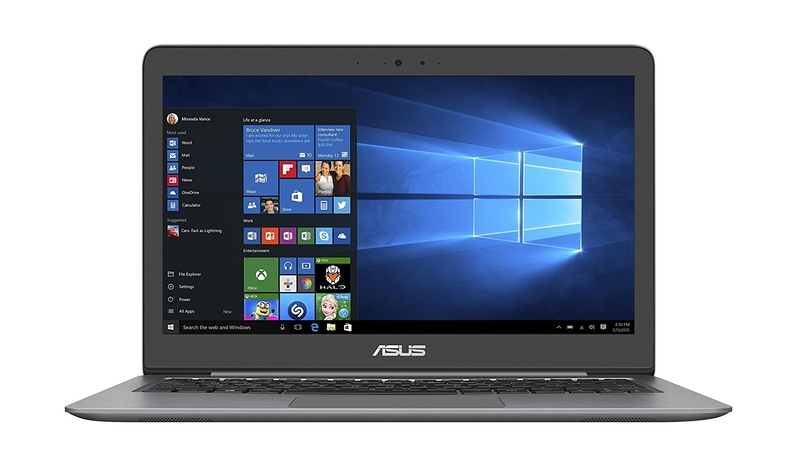 Thanks to Nvidia Max-Q tech, the Asus Zephyrus GX501 combines the beloved thinness of the best Ultrabooks with the performance that can make some serious cash while mining. It’s powerful, thin and basically silent if you don’t like noise during your everyday routine. It costs a pretty penny, but it could be a wise investment for a sharp miner. If you’re looking for a laptop for mining, raw horsepower means a lot. 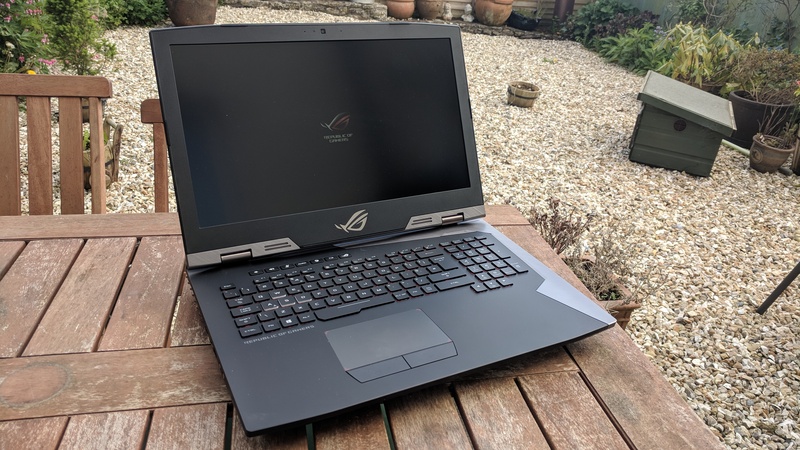 And, if that’s all you need, and you don’t really care about being able to fit the laptop in your backpack, then you’ll want to take a look at the Asus ROG G703GI. With up to an Intel Core i9 processor, 64GB of RAM and an Nvidia GeForce GTX 1080, you should be able to reach unbelievable hash rates. This is great news, because with how much this laptop costs, you’re going to need all the help you can get to reach your ROI.